You might remember these from last year. They’re a tradition in this house. An absolute must. When I asked The Mr recently what his top 5 favorite cookies were, these were on the list. Of course he couldn’t even give me a list of 5 but that’s not the point. I’ve been making them for Christmas easily the last 6 years or more. I like making these for the aromas. The orange zest and cranberries give off wonderful fragrances. How something smells is just as important as how it looks and tastes, to me anyway. And these smell incredible. They also have a nice light taste. You can eat cookie after cookie without having a heavy feeling in your stomach like certain other desserts can cause. These require more work than the average cookie but the end result is worth it. 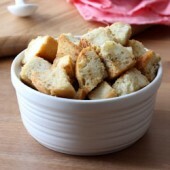 Be sure to check out my tips below for an easier time making these. 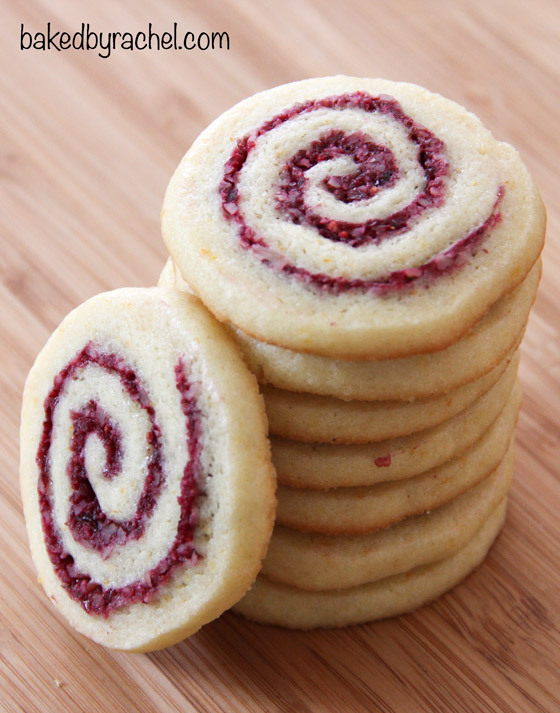 A soft pinwheel cookie that has a burst of festive color from the cranberry and pecan filling. In a food processor; add cranberries, pecans and brown sugar. Blend well until only small pieces remain. Set aside or cover and chill until needed. 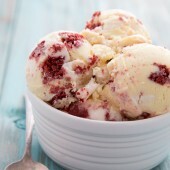 In a large bowl or stand mixer, cream butter and sugar. Add baking powder, salt, eggs and orange zest. Beat only low/medium for roughly 1 minute. Contents may be lumpy. Add flour by the spoonfuls, mixing on medium speed until ingredients have been mixed well. Cover and chill for at least one hour. Divide dough in half. Place one half between two sheets of wax paper. Roll into a large rectangle roughly 1/4" thick. Remove top layer of wax paper. Evenly spread out half of the cranberry filling over dough to 1/2" from all sides. Begin rolling from one of the short ends. Dough may stick at first. Gently guide dough by pulling up on wax paper. Pinch to seal ends. Transfer rolled dough log to a clean sheet of waxed paper. Roll and tape shut. Place between two large drinking glasses. This will help prevent flat bottom logs. Chill at least 24 hours. After several hours, gently roll log to check for any flat spots. When ready to bake. Preheat oven to 375 degrees. Slice 1/4" thick slices. Space 1-2" apart on a baking sheet prepared with parchment paper or a silpat. Bake for 8-10 minutes or until bottoms are just turning golden. Let cookies rest on tray for 1-2 minutes before transferring to a wire rack to cool. Store in a covered container for up to a week. Remaining dough may be frozen. Label well with any instructions such as type of dough, baking temp, time, etc. **For more 'how to' photos go here. I’m taking some time off and going to visit my parents for a few days. Holiday plans …BAKE, BAKE,BAKE! What a great giveaway Rachel. I love those cookies. I don’t have any pecans at the moment but am thinking pistachios. You think they’ll work. These are beautiful cookies! I can’t believe I forgot to bring some of these to work today. 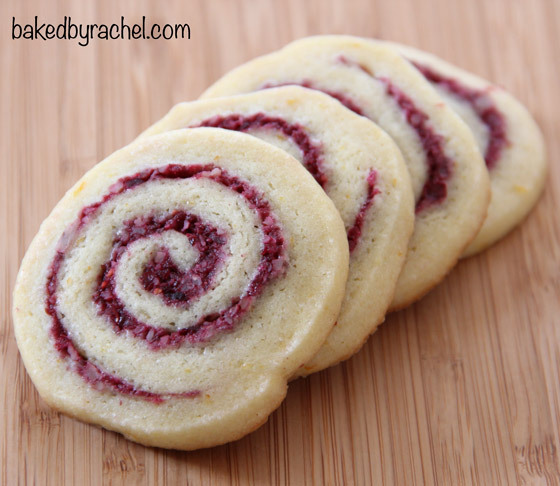 My favorite holiday cookies are cranberry-orange too. I’ve never made pinwheels ones though. They look delicious! 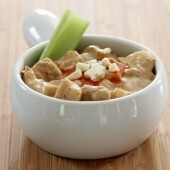 Empty nesters now, we’re planning a lovely Christmas Eve dinner as my kids will be home. Gifts the next morning, and then the kids are off to their dad’s. And, when that happens, our ritual is to catch a new movie and sushi each Christmas. Always a wonderful time. I followed you! I do what I’m told…. usually. We go to my parents for Christmas Eve, open gifts, then Christmas Day we open gifts at home and head back to my parents for dinner. and, tweeted. p.s. your pinwheels look lovely. These cookies are so beautiful! I think I’m working Christmas Day, but you probably aren’t surprised about that! This holiday, we will not have any immediate family in the area. Thinking about taking it easy for a change and just enjoying my husband and our daughters. Maybe some movies, lights on the lake and chillin’. My holiday plans had a wrench thrown in them so instead of my usual split between two families in two days, we’ll be heading to meet with the in-laws a few hours away by the beautiful river. too bad it’s warm here. not very xmassy. :( great giveaway!! my processor recently crapped out on me and i’ve been slightly freaking out!! My wife and I are going to enjoy spending time with our 3 kids, and we just might pop in our dvd of A Christmas Story. We’re heading to my brother’s in-laws for a Christmas Eve party, then heading home for a quiet Christmas to ourselves. The best of both worlds. If anyone changes the channel off of A Christmas Story marathon in my house, they get in big trouble :) It’s funny b/c my mom bought both my brother and I the DVD of ACS bc she knows we like it so much, and 3 years later, both of our copies are still in the plastic b/c we only like to watch it when its on in marathon mode. “Like” & love ya on Facebook! and i tweeted this giveaway! *crossing fingers* merry christmas!! For Xmas, we’re going to the in-laws. We’ll probably eat and drink way too much, but it’ll be awesome. 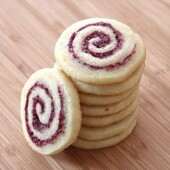 Somehow everything tastes better in pinwheel form! Holiday plans for me include family fun at my parent’s house!